In my mind’s eye I can see streams of puzzled Age readers heading to their bookshelves this morning and dusting off their dictionaries. The headline “Dignified, tasteful epithets for hero” over a report of Jim Stynes’ funeral yesterday certainly jarred me. Doesn’t ‘epithet’ describe a term of abuse? Did they mean ‘epitaph’ instead? a. An adjective indicating some quality or attribute which the speaker or writer regards as characteristic of the person or thing described. b. An offensive or derogatory expression used of a person; an offensive term; a profanity. Well, well- there I was thinking that the headline was just plain wrong and inappropriate. Do newspapers still have an educative function in teaching us the precise meanings of words (if indeed they ever did)? I’d like to think so, but given the sloppy proof-reading dished up in issue after issue, I wouldn’t hold my breath. 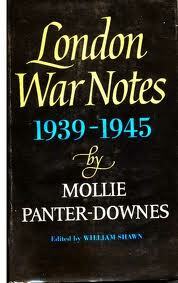 Recently I read a collection of short stories by Mollie Panter-Downes (my word, that is an unfortunate name!) and I was so impressed by her writing that I tracked down this collection of her “Letter from London” columns that were published in the New Yorker between 1939-1945. The book is divided into seven sections, for each year of the war, each commencing with a brief one-page time line of major events during that year. Having now read her fictional and non-fictional writing, I can see the connections between them. Many of her short stories were set in the Midsomer-ish surrounds of village life, and certainly she writes quite a bit about evacuation and billetting, and the dissonance between viewpoints of rural dwellers as distinct from those of Londoners. These letters were written in real-time, and thus reflect the fluctuations in perceptions of the war: the initial excitement that it was actually starting, the sudden awareness of the stretch of empire once Singapore fell, the mental readjustment that people had to make once they realized that the dreaded-Communist Russians were fighting a common enemy and thereby fellow-sufferers, the longing for the second front to open up, and the dread when it did. There’s a certain chutzpah in presuming to speak for ‘a people’ , although the late Alistair Cook in his ‘Letters from America’ and Hugh Mackay with his quarterly ‘Mackay Reports’ do not seem to have found it problematic. I certainly don’t think that I would be brave enough to claim to do so. When you are surrounded by like-minded people, it comes as a bit of a shock to realize that you might actually be in a minority! I often find myself having to remember that the views of a left-leaning, somewhat academic, northern suburbs fifty-year old white woman from Melbourne are not necessarily those held in western-suburbs Sydney, or the resource-rich states of Queensland and Western Australia, let alone anyone of a different age cohort or nationality. Likewise, when Panter-Downes speaks of an impatience with the paltriness of the sacrifices that people were being asked to make by the Government in 1941, or when she chides the London working-class for taking children from their safe country billets prematurely and returning them to the danger of the city, I do wonder how representative her views are. But, irrespective of this, her notes do provide a wonderfully intimate and domestic view of life where somehow or other a sense of normality is carved out of such very extraordinary circumstances. She writes of the theatres and cinemas starting their shows early at 5.30 so that people can get home before the bombing starts, the issuing of the first directory of emergency addresses for large business firms “if London is rendered uninhabitable”, the marvellous tulip display in the parks in 1940, people lining up to stay in the Tube stations overnight while the evening-rush commuters are streaming out. She speaks of the weariness of people in the closing year of the war, falling asleep almost instantly sitting in a bus or train, having been awake night after night with bombing raids. 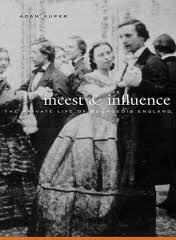 She describes the dissonance of being able to stand on tiptoe to peep at the old gentlemen in the St James Street clubs where the large windows were left uncurtained as soon as the black-out restrictions were lifted, even though after five and a half years many people still drew their own curtains as a matter of habit. I hadn’t realized that the planning for post-war reconstruction had been announced by the coalition government while the war was still underway. Knowing what we do of the long, skimpy years of post-war shortages, the optimism about the future seems at once both brave and rather pathetic, given that so many of those gleaming high-rise housing estates turned out to be so bleak and blighted. What had been an ill wind for many people had blown good to the glaziers, from whose vans, backed against the pavement, hundreds of square feet of glass were being lifted out of straw packing. The danger from falling glass and odd bits of masonry was still considerable, and police barricaded the surrounding streets to anyone who couldn’t show a pass or prove legitimate business there. Opposite St Giles, the church where Milton is buried, the front had been blown out of a dark and Dickensian little eating house, and two men in bartenders’ aprons sat together discussing events among the broken mahogany hattracks and scattered spittoons. A notice tacked up outside announced business as usual. Around the corner, in Aldersgate, a sign in front of a delicatessen shop which had suffered the same fate proclaimed cheerfully, “We are wide open”. It was doing a good trade among customers who did not seem to be moved by the facts that they could leave by the conventional door or through the space where the window had been.” August 30, 1940. Sourced from: The CARM centre ( i.e. the Victorian universities’ repository for old academic books), placed by Deakin University who in turn received it from Gordon Institute of Technology. What a well-travelled book! Read because: I think that Mollie Panter-Downes is pretty damned good. I’m glad that this book only had 158 pages. I really don’t think that I could have read any more. As it was, I started reading it and turned off the light about 50 pages in. I found that I was too anxious and troubled by it to sleep, so I turned the light back on and kept on reading until about 1.00 a.m. in the morning. 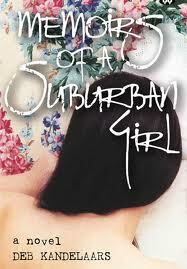 The book is set in 1979, and a teenage girl moves in with a violent older man, whom she calls S. B. (short for Spunky Boy) throughout, even though he turns out to be anything but. She is only seventeen when she meets him, and she seems to encased in a nightmare world with this abusive, manipulative man, frightened and unwilling to take the first steps towards leaving him. The book is written in the second person present tense, which I always find a rather claustrophobic, controlling narrative voice. In this case, it is a risk. There was a decision point at the very first episode of abuse at which many readers may have acted differently, and to continue to be addressed as “you” makes you feel somehow complicit and responsible for a decision that you might not have made. I understand that she is making the point that it could be you, but maybe not. There are choices here, even in the inability to make a choice. The narrative is highpitched and breathless, and somehow garbled- as if it is falling out of her. One of the most unsettling aspects of the book is its low-key suburban setting. There are neighbours, workmates, onlookers surely, who witness the violence in the car, in carparks, and who see the bruises and hear the excuses. Yet somehow she seems to be isolated in her own parallel existence, with assistance from the few friends she manages to have, or her own parents, visible, but just out of her reach. She captures the late 70s and early 80s well in all their garishness. It is a work of fiction, based on the author’s own experience. It is presented as a memoir, and there are other memories coiled up in the telling. In the middle of a beating, almost as a form of dissociation, her older and happier memories unspool, until she and you are jerked back into the grubby reality of her situation. Should you read it? Yes, you should. Will you like it? I don’t know. Did I like it? I don’t know. I couldn’t put it down- does that make it a good book? 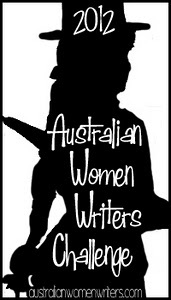 I’m reviewing this for the Australian Womens Writing Challenge 2012. It’s not too late to join, you know. 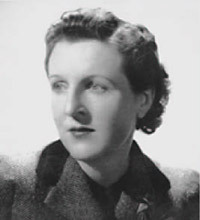 Margaret Whitlam died yesterday, aged 92. On behalf of the Coalition, I offer my deep condolences to Gough Whitlam on the passing of Margaret. 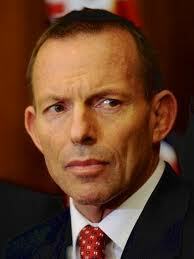 Margaret was a marvellous consort to a very significant Labor leader and an epochal Australian Prime Minister. There was a lot wrong with the Whitlam Government, but nevertheless it was a very significant episode in our history and Margaret Whitlam was a very significant element in the political success of Gough Whitlam. She was a great patron of the arts, she was a woman of style and substance and we should mourn her passing as we extend our deep sympathies to her friends, to her family and especially to her husband. What does sexism look like? When a woman can spend sixty years in public life and still be defined almost solely by her husband. Just thirteen words about her. What does obsession look like? When even in extending condolences, he cannot help himself plunging the knife and twisting it. It sounds an old-fashioned thing to say these days, but women were supposed to be in a servile relationship with their husbands, particularly if you were married to a famous man. You were seen as the consort, whereas Margaret saw it as an opportunity to be engaged. What does old fashioned look like? “She was a marvellous consort to a very significant Labor leader and epochal Prime Minister”. What does churlishness look like? When we “should” mourn her passing, not that we “do”. We do mourn her passing. We do. The Voyage and the Return is, as Christopher Booker tells us in his book of the same name, one of The Seven Basic Plots. On one level you could summarize the plot of this story quite simply- a young man travels to the South Pacific to collect artefacts and exhibits for an industrialist’s exhibition, then he returns. But this summary would sorely undersell the complexity, exuberance and intelligence of this book. I’ve been dabbling around with the 1840s colonial travellers and gentleman naturalists for too long, because the setting of this book jolted me into a different timeframe and mindset. By the 1890s, wealthy, and especially American, magnates had moved into the field, buoyed by the increasingly large commercial success of the World Fair phenomenon, and keen to pour their wealth into their private collections which could be levered for commercial and philanthropic gain. They were anxious that the best artefacts had already been picked over, and were competing against each other as well as private and public museums to scoop up what was left. But a century of missionary endeavour and ethnographic plunder had changed the indigenous tribes as well, who were no longer content with mirrors and beads, and demanded guns as the price of exchange now. Into this scenario steps Owen Graves, the poor but ambitious son of a demolitions expert, who is contracted by the wealthy owner of the Chicago First Equitable Insurance company to travel to the Pacific to collect artefacts, and especially human exhibits, for a display in his new building- the world’s largest. The company president, Hale Grey, insists that his dilettante son Jethro accompany the voyage where he could indulge his passion for collecting and taxidermy. It was the “human exhibits” that were the sticking point. Owen’s fiance, Adelaide, was a strong-willed and forthright humanitarian who would have been appalled by this trafficking, and so he did not tell her this part of contract. It transpired that he collected only two Melanesian islanders – a brother Argus Nui and his sister Malini- to take back to Chicago. Argus had been thoroughly enculturated into British life by a missionary with whom he lived as house-boy, and both he and Malini were forced to enact a parody of primitive village life on the rooftop of the increasingly dangerous First Equitable Insurance building as it subsided into the lakeside shore. 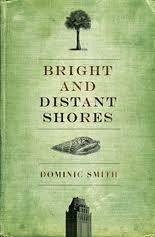 It is ambiguous which setting is, in fact, the ‘bright and distant shore’. The Pacific Islands shimmer in the crystal waters, disguising the trade in people and artefacts not only on the part of American collectors and industrialist-philanthropists, but also the more sinister blackbirding system that supplied the Queensland canefields with labour. Or is the ‘bright and distant shore’ the tawdry lure of America, that promises wealth and, for Argus, an opportunity to become a missionary perhaps in his own right? This book is large and almost nineteenth-century in its scope and language. It tackles big questions of exploitation, class, culture, avarice and tradition, and its characters- all of them- are complex and nuanced. The writing is beautiful in many places with words that are unconventionally but deftly used and the narrative swoops across oceans and wreathes around one character after another. It’s a very confident, assured book. The author is Australian-born, resident in America since 1989, but that doesn’t stop us claiming our literary expatriates like Peter Carey and Geraldine Brooks. He’s right up there with them, but I hadn’t heard of him until this book. It was shortlisted for both the Age Book of the Year and the Vance Palmer Prize Fiction Prize. A thoughtful review by James Bradley is here. Read because: it was the February reading for the Yahoo Australian Literature online reading group. 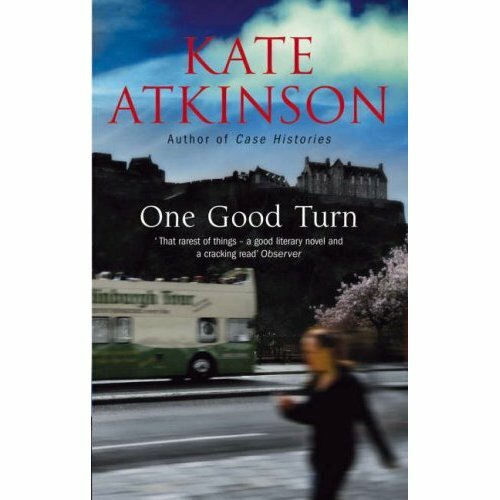 I don’t even LIKE crime novels as a rule, but I’ll make an exception for those written by Kate Atkinson. This book follows on from her earlier novel, Case Histories by bringing to us again detective Jackson Brodie, but it’s not at all necessary to have read the first book. In the earlier book, there are three crimes that seem unrelated but become increasingly interwoven. This book is similar to its predecessor in that Jackson is searching desperately for “a tangible connection, not just a coincidence”, but it is more straightforward in that there is just the one crime initially that involves, in different ways, the many characters. The book is set during the Edinburgh Festival, and the author turns a wry eye on the literary events and art-house performances that are part and parcel of such productions. The crime occurs in the opening pages- always a good start, and in Rashamon-fashion the book moves from character to character in the lead up and fall0ut from the crime. Her characters are full-bodied, and there’s enough romance to pep things up (and enough to induce deep groans in Mr R.Judge, should he ever read it, because he doesn’t like all that “love-stuff” mixed in with his crime stories). Atkinson doesn’t take any of this too seriously, and there’s a cheeky humour that runs through the book. The plot itself, while convoluted as crime novels tend to be, is easy enough to discern in retrospect, which is just the way I like it. Many’s the time that I’ve watched the credits roll on yet another ABC Friday night crime show, and I’ve twisted myself up on the couch and said “But I don’t get it…who? why?…” and I can barely piece the plot together coherently enough to even formulate a question. But this is a thouroughly satisfying crime novel, with a laugh or two along the way, several twists in the plot, and I can even tell you what happened!